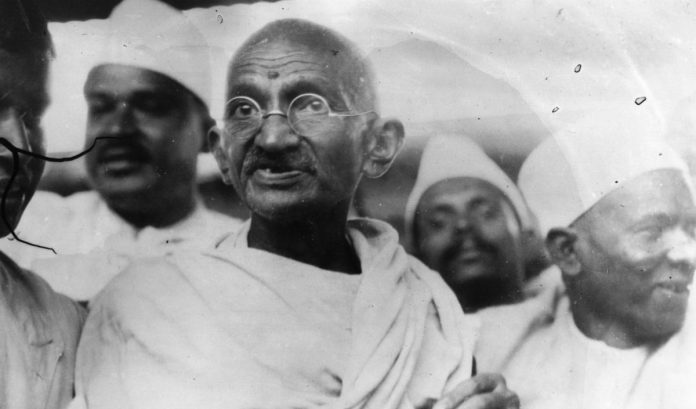 This excerpt from ‘Gandhi: The years that changed the world 1914-1948’ by Ramachandra Guha tells the story of the Mahatma in the months leading up to Partition. While urging ordinary Hindus to repent and make amends, Gandhi continued to have reservations about the Muslim leadership. ‘If you are true representatives of the League,’ he told Muslim League functionaries in Bihar, ‘you should frankly tell Jinnah Saheb or Liaquat Ali Saheb that they are going in the wrong direction; only then you would be serving the League faithfully. Noakhali, Bengal and the Punjab are still witnessing massacres by Muslims. I do not deny that Hindus too are perpetrating such crimes, but both Jawaharlal and I have been strongly condemning their misdeeds and publicly appealing to them to desist. Has any representative of the League made any such appeal to Muslims?’ The criticism, or complaint, was not without foundation: Jinnah and his second in command, Liaquat Ali Khan, were by no means as forthright in speaking out against Muslim communalism as were Gandhi and Nehru with regard to Hindu communalism. Negotiations regarding the transfer of power were reaching a crucial stage. Nehru and Patel thus wanted Gandhi back in Delhi. He returned to the capital for a week, consulting with leading Congressmen, and also meeting Mountbatten and Jinnah. It now looked more and more likely that, when the British left, they would leave behind not one nation but two. Jinnah’s campaign for Pakistan was on the verge of success. Gandhi still hoped it would not come about; arguing that ‘the Congress should in no circumstance be party to partition’. Gandhi met Jinnah in Delhi on 6 May; afterwards, the League leader issued a statement saying that Gandhi ‘thinks division is not inevitable, whereas in my opinion, not only is Pakistan inevitable but this is the only practical solution of India’s political problem’. But Gandhi yet hoped to stall the inevitable; writing to the viceroy that ‘it would be a blunder of the first magnitude for the British to be a party in any way whatsoever to the division of India’. In truth, the increasing polarization was manifest at Gandhi’s own prayer meetings, with many Hindus objecting to the recital of verses from the Koran. One correspondent wrote saying the Koran’s philosophy ‘is an anti-thesis of all the Gita teaches’. Gandhi’s reading of these verses, charged the critic, was an ‘expression’ of his ‘appeasement policy’. Another writer sarcastically commented that ‘in order to support the Congress, the Hindu need not become an ardent admirer of the “Quran” or allow it to be sung [sic] at his place of worship’. If this practice continued, he warned, ‘the Congress will cease to exist as the Hindus are no longer in a mood to be treated in the way they have been’. From Delhi, Gandhi proceeded to Calcutta, where a movement had arisen for a ‘united Bengal’, for a state that would not join Pakistan but unite Bengali speakers regardless of religious affiliation. Among its chief advocates were Subhas Bose’s younger brother Sarat Chandra Bose and H.S. Suhrawardy. On the other hand, it was opposed by the Hindu Mahasabha leader Syama Prasad Mookerjee, who claimed it was promoted largely by British commercial interests. The scheme was also rejected by the Muslim League, for whom Bengal was as big a prize for Pakistan as the Punjab. Gandhi met both proponents and opponents of the idea. While he did not commit himself to either side, the idea of unity on the basis of ‘a common culture and a common mother tongue’ appealed to him. But, as he told Sarat Bose, the proposal had to be put to the democratic test of the citizens of Bengal. However, Nehru and Patel also came out against the United Bengal scheme, so, as Gandhi wrote to Bose, he would now have to persuade both the Congress and the League, an impossible task. In the last week of May, Gandhi returned to Delhi. His prayer meetings were now regularly obstructed by protesters. These were often Hindu refugees from West Punjab, thrown out of their homes and villages as the violence in the province grew progressively more intense. Gandhi was also receiving many abusive letters. As was his wont, he read out excerpts from these letters in these meetings. He did not contest their facts, while pointing out that no one could cast the first stone, since ‘the Hindus in Bihar have not lagged behind in committing atrocities. Not only were the atrocities of Noakhali avenged, but much more was done.’ On the other side, ‘we shall have to tell the Muslims that [violence] is not the way to achieve Pakistan’. Partition had now become inevitable. On 3 June, Mountbatten announced that the British government had recommended that British India be divided into two successor states, India and Pakistan, both remaining in the British Commonwealth, but retaining the right to secede from it. The 15th of August was set as the date of formal transfer of power. British India was to be partitioned; so too would be two of its largest provinces, Bengal and the Punjab. Cyril Radcliffe, a British judge with no previous experience of India and Indians, was tasked with drawing the line that divided India from Pakistan in the east and in the west. Gandhi was reading the newspapers, and getting reports from Congressmen in the province. ‘Is Pakistan,’ he asked, ‘to be raised over the ashes of Lahore and Amritsar?’ He found himself in a dilemma. Punjab called, but so did Bihar, and so also Noakhali, where his ‘work was just started and [had] given much comfort to the Hindus’. In another prayer meeting two weeks later, Gandhi said that after Partition, ‘the Congress can never become an organization of the Hindus. Those who seek to make it such will be doing great harm to India and Hinduism.’ Muslims, Christians, Sikhs, Parsis who lived in India would have equal rights. For, ‘people professing different religions have mingled to form the Indian nation and they are all citizens of India and no section has the right to oppress another section’. Hindu and Muslim ‘cultures’ and the ‘Muslim nation’—how these words open out fascinating vistas of past history and present and future speculation! The Muslim nation in India—a nation within a nation, and not even compact, but vague, spread out, indeterminate. Politically the idea is absurd, economically it is fantastic; it is hardly worth considering. 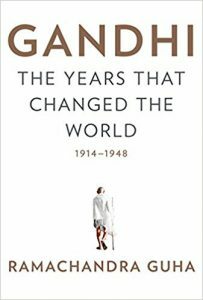 This excerpt from ‘Gandhi: The years that changed the world 1914-1948’ written by Ramachandra Guha has been published with due permission from Penguin Random House.